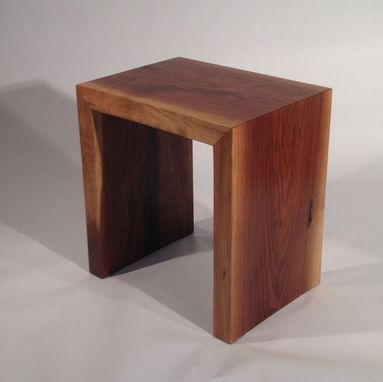 This piece is made from a single slab of Black Walnut and works well as both side table or stool. 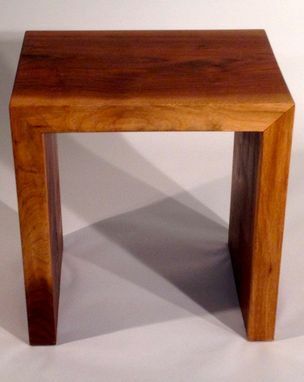 Seamlessy grain wrapped and finished with a hand rubbed oil finish, this piece will complement any home. Approximate dimension are 18hx14wx13d.